The above information was last updated on October 4, 2017. Provenance information: A2Acollection NL-UtHUA_1221-1842_54_A2A.xml van HUA, originele record identifier is 1085619835.
view it on the website of Het Utrechts Archief. Open Archives can automatically search the records for details of the parents of a person. With the information found, a pedigree chart can be presented. 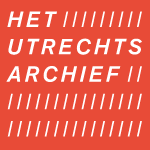 On both the detail page on the website of the archive as well on Open Archives, the report will be sent to Het Utrechts Archief.